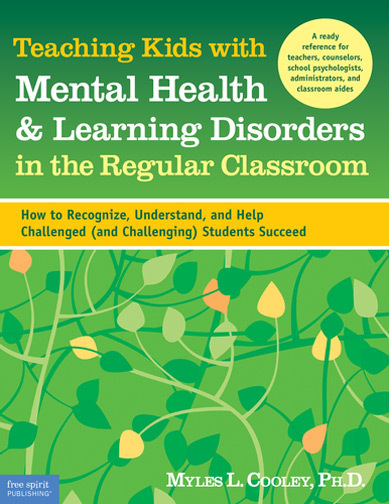 Written for all classroom teachers, this book helps you understand generalized anxiety disorder (GAD), nonverbal learning disability (NVLD), Asperger’s syndrome, depression, ADHD, and other mental health issues and learning problems. Learn how to recognize the symptoms, respond appropriately, and meet students’ learning needs. Written by a clinical psychologist, this user-friendly, jargon-free guide describes mental health and learning disorders often observed in schoolchildren, explains how each might be exhibited in the classroom, and offers expert suggestions on what to do (and sometimes what not to do).